Don’t forget to take a break from your Christmas shopping and have some tea…or coffee. Pair it with Dave’s Trio Sandwich or Gourmet Pie and have a tea-rrific afternoon. Black Friday Pie day! Enjoy Dave's Gourmet Pie and a glass of iced lemon tea for only RM13 when you visit Dave's Deli One Utama from 23 - 25 November 2018. *Terms & Conditions apply. Subject to 6% service tax. It’s the last weekly winner announcement for Dine & Win Contest. Congratulations to the lucky winners! And to all who have joined us in the past few weeks, stick with us and we will be announcing the Grand Prize Winner tomorrow morning! Congratulations to Week 6 Dine & Win Winners! We will be contacting you shortly for prize redemption. And for those who did not win, don’t worry because you might have a chance to take the Grand Prize home! Keep the photos coming and thank y’all for your support thus far! Introducing our new Dave's Deli concept at The Starling Mall. Now with full table service and an extended menu with burgers, salads and much more! Enjoy 15% OFF* all food all day from now until 12 September 2018. Visit us today and come home to good food! #DavesDeliStarling #DavesDeli *This promo is only valid at The Starling Mall (Petaling Jaya) from 5th to 12 September 2018. For dine-in only. The discount is not applicable for beverages. Images used are for illustration purposes only. Terms apply. Congratulations to Lucky Winners of Week 3! Do check out your inbox for further gift redemption details. And for those who have not participate, what are you waiting for? Fill yourselves up with good food and win awesome prizes! Congratulations to the Week 2 “Dine & Win” Winners! We will contact you soon to redeem your prize. Keep the photos coming and stay tuned for further announcements for Week 3 Dine & Win contest! Roasted Chicken Flamin' Rice Bowl — roasted chicken served with spicy rice, fresh salad and gravy. Taste it today at your nearest #DavesDeli! #DDFlaminRiceBowls Add on a Coca-Cola, Coke Light, Fanta Grape or Sprite for only RM2.50. *This promotion is available for a limited time only. The management reserves the right to amend any of the terms without notice. Images used are for illustration purposes only. Get our hearty, delicious meals delivered to your doorsteps! Order now from GrabFood, foodpanda, honestbee or DeliverEat.my. #DavesDeli *Delivery services may be limited to available locations only. Come enjoy the heat of our scrumptious Spicy Mexican Rice while it's still available! With choice of Dave's Famous Roast Chicken or Crispy Chicken. Served with roasted vegetables and gravy. 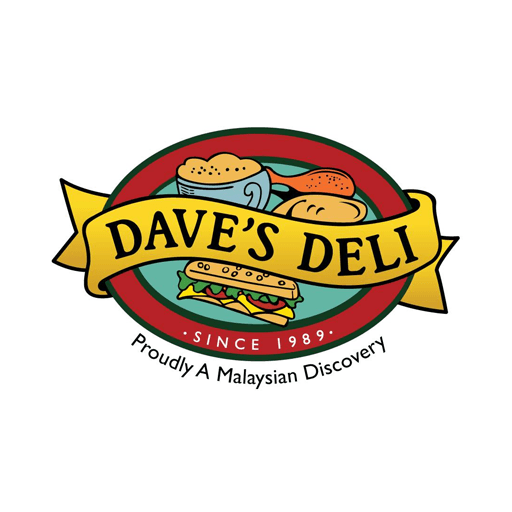 #DavesDeli *Available at all Dave's Deli outlets nationwide except Mid Valley. Valid every day including weekends and public holidays. For a limited time only. Valid for dine-in and takeaway. Not valid with other discounts, offers, privileges or promotions. Images used are for illustration purposes only. T&C apply. One of the hearty, delicious shots by The Double Eaters (@thedoubleeaters on IG). 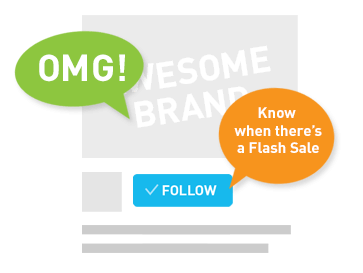 Thanks for sharing about our current promotions! For more info, visit our website at davesdeli.com.my -------------------------------- Posting a photo of Dave's Deli? Tag us @davesdelimy or #DavesDeli! Have you tasted the delicious hotness of our new Spicy Mexican Rice? Available for a limited time only. Try them today at your closest #DavesDeli! *Available at all Dave's Deli outlets nationwide except Mid Valley. 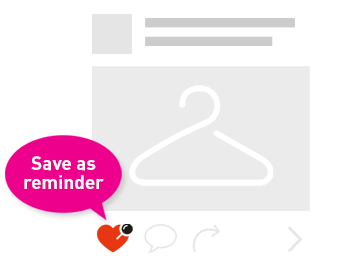 Valid every day including weekends and public holidays. Limited to one (1) beverage and dessert add-on per meal. Valid for dine-in and takeaway. Not valid with other discounts, offers, privileges or promotions. Images used are for illustration purposes only. T&C apply. Hungry for more? Don't worry, we've got you covered. Come enjoy our new tasty add-ons and satisfy your cravings! #DavesDeli 1. Salted Egg Chicken Poppers - Crispy popcorn chicken in salted egg sauce with Sriracha mayo. (Add on: RM 7.90. Ala carte: RM 11.90.) 2. Loaded Cheesy Fries - Topped with our homemade beef bolognese sauce and cheddar cheese. (Add on: RM 9.90. Ala carte: RM 12.90.) 3. Strawberry Panna Cotta - Italian vanilla pudding with strawberry sauce. (Add on: RM 5.50. Ala carte: RM 7.90.) 4. Chocolate Brownie Royale - Warm, rich chocolate brownie topped with vanilla ice cream and chocolate sauce. (Add on: RM 7.90. Ala carte: RM 11.90.) *Available at all outlets nationwide every day. Valid with a purchase of any main meal in a single receipt. Valid for dine-in and takeaway. Pictures displayed are for illustration purposes only. T&C apply. Feel the heat this Ramadan with our new Spicy Mexican Rice with a choice of Dave's Famous Roasted Chicken or Crispy Chicken. Served with Roasted Vegetables and Gravy. . Complete your meal with an add-on of Sirap Bandung or Iced Lemon Tea for RM2, and our delicious Mini Chocolate Brownie Royale for RM3. #DavesDeli . *Available at all Dave's Deli outlets nationwide except Mid Valley. Valid every day including weekends and public holidays. For a limited-time only. Limited to one (1) beverage and dessert add-on per meal. Valid for dine-in and takeaway. Not valid with other discounts, offers, privileges or promotions. Images used are for illustration purposes only. T&C apply.